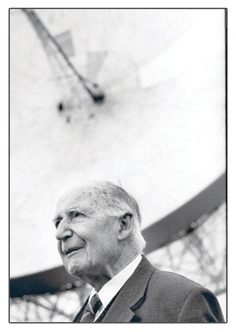 If any living person epitomises the link between engineering and science as well as the very British trait of ingenuity in adversity it is Sir Bernard Lovell. Now 92, the venerable astronomer is the name behind some of the twentieth century’s great technology advances and applications. 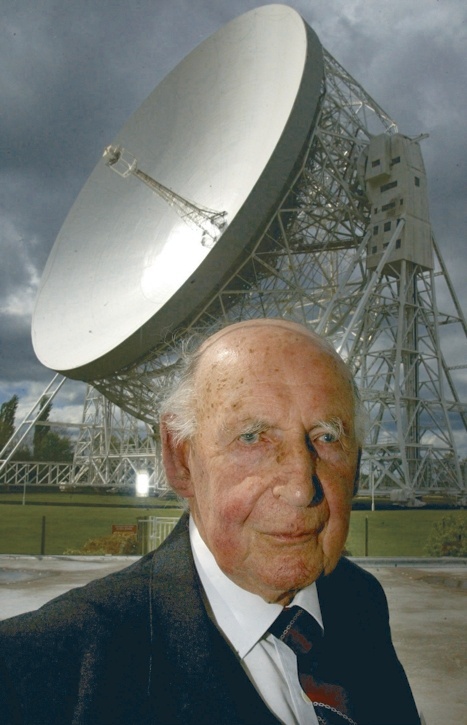 His pioneering work on radar helped swing World War II decisively in the allies’ favour, while the huge radio telescope that bears his name at Jodrell Bank remains one of the most impressive and significant scientific instruments in the world after almost 50 years of operation. 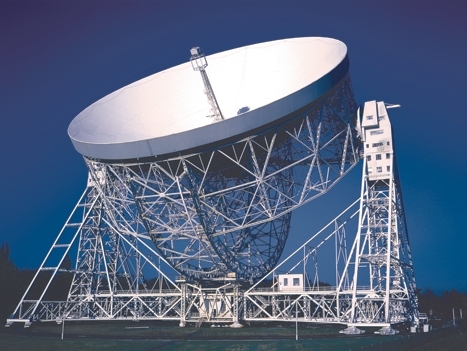 As an engineering project that many said was impossible, the Lovell telescope is also a wonderful symbol of what can be achieved through sheer drive and enthusiasm. I’d been a young man working in a lab, with equipment one made oneself and no money. Then I was launched into this massive enterprise of ships and guns and aircraft. 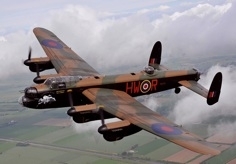 Following the Battle of Britain in September 1940, British bomber command had increased the number of night time raids on German cities, but reconnaissance was indicating that many of these bombs were falling on open country. So, at the beginning of 1942, Lovell, who had spent the last couple of years developing short wavelength air interception radar and blind firing systems for fighter planes, was told to form a group to develop a blind bombing system. Based at the government’s Telecommunications Research Establishment (TRE) in the Dorset clifftop village of Worth Matravers, he set to work on the development of a precision bombing device that would use a rotating antenna within a cupola attached to the belly of a bomber to build up a map of the terrain below. 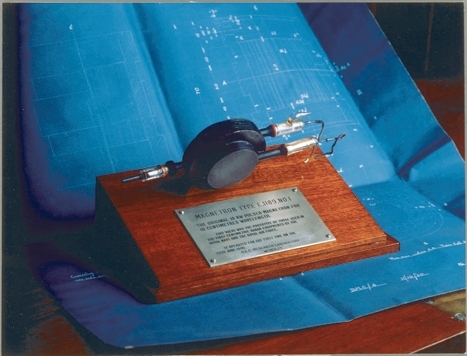 The system was the first ground mapping technology ever to be used in combat. It was also triumph of engineering complex science and bulky ground equipment into a device that could operate in one of the most demanding environments. Christened H2S (standing for “home sweet home”) and using a 10cm radar to provide unprecedented levels of accuracy, it was largely made possible by the invention of the cavity magnetron, a high-powered vacuum tube that generates coherent microwaves and is found today in microwave ovens. But with the very real threat of Britain falling to the Germans, and the war cabinet desperate for a technical advantage over the Nazis, Lovell’s team was under immense pressure. ‘Churchill demanded that this be given the highest property. That sounds great, but as far as we were concerned it was a bit of a disaster. It was difficult enough without this constant problem from high-level,’ he said. The group’s efforts were also frustrated by the fact that Lord Cherwell, Churchill’s chief scientific adviser, wanted them to design the system around the Klystron, a less powerful source of microwaves than the cavity magnetron. He feared that in the event of a crash over Germany, the more rugged magnetron would survive and pass its secrets on to the enemy. ‘The cavity magnetron was regarded as so secret that we were not allowed to use it, we had to use the Klystron which was destructible.’ said Lovell. Ironically, this secrecy was somewhat misplaced, with Lovell learning just a few years ago that Germany’s wartime scientists were aware of a cavity magnetron developed in Leningrad in the 1930s, but had failed to capitalise on this knowledge. To add to the chaos, in May 1942, amid fears that a company of German paratroopers might be planning to raid the TRE, the whole organisation was moved from Dorset to Malvern college in Worcestershire. And then, on June 7th 1942, disaster struck when a Halifax performing H2S tests over England crashed, killing everyone onboard and destroying the only prototype of the cavity magnetron system. Working flat out, Lovell’s group came close to meeting Churchill’s demands, equipping one of the pathfinder squadrons with the H2S system by December 1942. Then, finally, following the battle of Stalingrad and with the Russians holding the Germans on the line of the Volga, the cavity magnetron made its debut in a night-time bombing raid over Hamburg. ‘What a night,’ recalled Lovell, ‘the weather was bad and a couple of aircraft turned back. Then another chap came back and said the equipment had broken down. Then the last man came in. Thumbs up! I can see him now. He said on the H2S equipment the dots on the Elbe stood out like the fingers on his hand.’ From this point on the system was used to devastating effect over Germany. The system arguably had an even greater impact on the battle of the Atlantic, where, at the beginning of 1943, despite the cracking of the U-boat codes, shipping losses were rising rapidly to a million tonnes a month. ‘The cabinet was afraid that if Hitler staked all on U-boat warfare we would probably not survive,’ said Lovell. He added that Germany’s failure to capitalise on its prior knowledge of the cavity magnetron was another illustration of the way in which this relationship between science and government shaped the outcome of the war. After the war, in the summer of 1945, Lovell returned to Manchester. And haunted by the memory of watching echoes on military radar equipment from what he believed were cosmic ray showers, immediately began work in his Manchester laboratory. But while nine months earlier the imperatives of conflict had put almost unlimited resources at his disposal, he was now faced with the stark privations of post-war Britain, ‘I wanted money to buy a screw driver or something like that – and it was “oh gosh, who’s going to pay for it?”. Nevertheless, using a borrowed 4.5m radar that had been used for “ack-ack” gunnery in London he attempted to continue his pre-war research into cosmic rays. In search of a quieter spot than the University quadrangle, where electrical noise from the nearby trams obliterated the cathode ray tube, Lovell eventually got permission to take his equipment to a patch of university land at Jodrell bank. There, alone in a field, he got his equipment working and in December 1945 immediately detected a flurry of echoes from the ionised trails of meteors. He quickly realised however that to detect cosmic rays he would need to use much larger aerials. I got into serious trouble because the final bill for this was £680,000 – I’d overspent by £200,000. You couldn’t build it for 40 million today. From this point on, while still spending most of its operational time on the investigation of radio waves from the universe, military interest in the facility paid helped pay the bills throughout the cold war. The telescope was also, for a time, the only instrument in the world powerful enough to track the various probes and satellites launched during US and Russia’s battle of cosmic one-upmanship. Perhaps most famously, in February 1966, it tracked the unmanned Russian moon lander Luna 9, listened in on the transmission of photographs from the moon’s surface, and sent them to the British newspapers before the Soviets had a chance to make them public. Thus, astonishingly, a device that was originally designed to last for just fifteen years will be celebrating its 50th birthday next year, and the man who made it all possible, although he officially retired in 1981, can still be found most afternoons at the facility which is so much a part of him. What a remarkable and iconic man with such an intellect. I read with much sadness of his recent passing . May his spirit be as one with the universe in which he became so well aquainted . Sad news of a great man. RIP. An extremely interesting and well-written article. Sir Bernard makes some observations about the practical application of the combined skills of engineers and scientists that should never be forgotten. Remember him giving a lecture at our school, and then offering us all a personally guide tour around the Jodrell Bank facility. Wonder how many science and engineering careers he launched! Living where I do in Macclesfield, I am almost daily reminded of Sir Bernard, as his creation rises above the Cheshire plains and can be seen (just) from the roof of our house! 50 metres up the hills behind and there it is in all its glory. As a puny 16 year old, I was sent on an outward bound/orienteering course into Derbyshire from my school. We had to travel around for 36 hours, finding and then working out the clues to the next ‘point’. At one (shuttlingslow) we were required to draw what we saw to the west! There ‘it’ was. We had NO idea whatsoever what it was and labelled it a ‘flying saucer’ in our notes. This must have been Jodrell Bank under construction. For many years he was the patron of our local choir: and I remember attending a performance of the Mozart Requiem in Chester cathedral. At one point I turned round, and who should be sitting behind but Sir Bernard. Here was a mind and intellect which had taken him (and the rest of us with his advances) to the limits of the human advance of knowledge..with tears streaming down his face as he contemplated the beauty of that music. The arts and the sciences in communion! Of course. Re-reading Sir Bernard’s comments, I was struck by his confirmation of the very close and clearly effective link between his group and the RAF -who presumably were his ‘customers’. Other services took a rather different approach! A neighbour of mine (A E De Barr, who whilst we still had a UK machine tool industry was, until retirement the Director of its research association) had graduated in Physics from Leeds in June 1939 and was ‘directed’ to the Admiralty mine warfare research association, based in Gosport. He used to amuse us with stories of dealings with Admirals. They were asking for ‘bigger & bigger bangs’ from mines -ie as much explosives as could be stuffed into the casing : and within a given size of such, believed that the control/sensing mechanism which would trigger the explosion could be accommodated in the same small space traditionally allocated. As Albert (a callow youth of 21!) tried to explain, ‘there is little point having a bigger explosion, if the newly invented sensors -acoustic, magnetic, and so on- are not optimized. Detecting the passage of a target from a greater distance, is surely much more important that blowing it up completely. Its going to sink almost regardless of the size of hole in its hull.’ The Admiralty did not see it that way, presumably because they were still operating on the premise that being trained to think rationally (as hopefully scientists and Engineers are) was then not part of the training of naval officers. Hey Ho! Merely as an aside: a family member (who joined Bomber Command in the RAF aged 18 in 1942) loved telling of the carriage of crates of empty beer-bottles on raids over Germany! The bottles were thrown out from bombing height individually. The whistle they make on the way down sounds exactly like a falling bomb. Of course once they hit the ground, they disintegrate completely: and then the ‘defenders’ spent hours looking for such, believing them to be un-exploded bombs! I gather that the Russian Tank commanders who entered Budapest to crush the 1956 revolution were similarly foxed. A row of up-ended soup plates placed in the road in front, seen from the slit of a tank turret look so like mines that no tank will venture over them! Whilst the tank commander was wondering what to do…A Budapest tram, set running down a nearby hill, will up-end a T34 nicely! He helped launch my interest in space and a career in engineering. A great inspirational influence. Perhaps it is definitely a sign of Anno Domini? Re-reading these posts etc I do recall a master at my school (who had spent his war in the Navy, on corvettes and mostly in the Atlantic ocean) describing the advances in ship radar. It seemed that each time they returned to a UK port, there was a boffin, waiting to fit a new improved ‘box-of-tricks’ so that they could detect the enemy deeper, further, more accurately. He described one incident when on connection of the latest gizzmo and it being switched on, there was an almighty explosion and flash and all the power in the entire bridge fused. The boffin turned to his colleague and said “tendency to spark!” Probably the understatement of the decade.